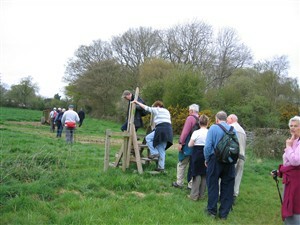 A few photos of the Sussex walks. Lots of members, a lovely friendly group of people, the club is about 25 years old now and will hopefully continue for another 25 !!! 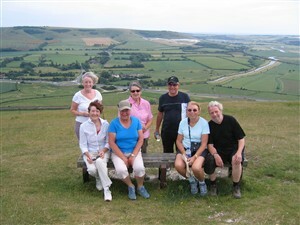 This page was added by Vicky Delaney on 04/07/2009. 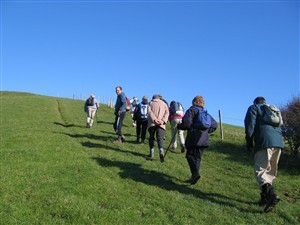 Did any of you do the walks from Denton to Berwick at Easter time?. 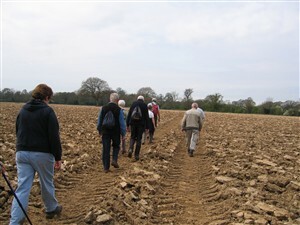 Yes every year!This walk has been going on for at least 60 years now,it was started by Bert Lillywhite as a family walk and gradually snowballed as more and more people joined it every year. My brother Bob and I used to go with friends when we were young ,and loved to skip,and to watch the Morris men dance,then after a picnic, back over the hills,covered in mud, but happy! Bert was the local coalman and a very well liked man ! 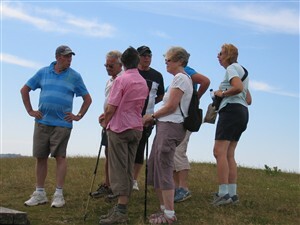 Where can I find contact details of Newhaven Ramblers please? 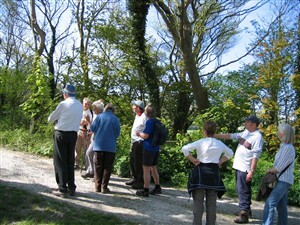 A web search of " Newhaven Ramblers " should give you the answer.